Donation plugins are also labeled as the source of income for the website developers. Yes! It is the source of income that gives you best content as a product too. The WordPress website that offer products free of cost or any other non-profitable organization that wants to raise their funds use this facility of donation plugin for WordPress. The donation plugin is attached or placed on that corner of the website that can easily be viewed by every user and something should be prominent in that donation plugin that can easily attract the attention of any of the user. How to pick out any donation plugin? It is difficult for the people who are interested to take the donation from people in order to facilitate users with the best of the best work done by them to pick out any donation plugin. In this article, some of the most commonly used and trusted donation plugins are mentioned along with their brief description. So, it will be easy for you to choose any one of them. It is the widely used donation plugin for WordPress because of its fine features. It provides the facility of running multiple donation campaigns and the developer have full command over the donation system that he is running. It also provides you with the ease of adding multiple short codes, custom temples a, widgets and much more. It has a unique option of “Repeat Donation”. It allows the users to donate times and again for the specific website. It makes donors more satisfied and happy because of the “Thank you Mail” feature of seamless donation. The donors are facilitated more in this donation plugin. They can also receive their desired content in a mail box. It makes the developer a bit selfish in a sense that it only allows some part of the content to be visible to all of the users and only the donors are able to view the whole content. If the work is of high standard, then this donation plugin can help you to collect more donations because people will get curious to read you content till its last alphabet. Like other donation plugins, it also accepts the donations using WordPress. It is a creative sort of donation plugin because of its enhanced features and thank you note for donors. It makes the developer to start a donation campaign and to set the donation forms that also provide ease for the donors to contribute. Donation plugins are the easiest way to accept and collect the donations on the WordPress site. The high-quality work can be seen, used and utilized by the users on demand of contributing some money that makes the developers work more hard for their people. 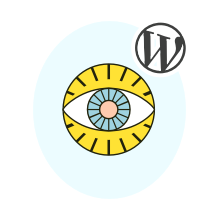 WordPress Trackbacks and Pingbacks Explained How to configure WordPress permalink for better SEO?